Since 1996, Francom S.p.A., the parent company of the Syncro System Group, has fitted out over 60,000 vans around the world. 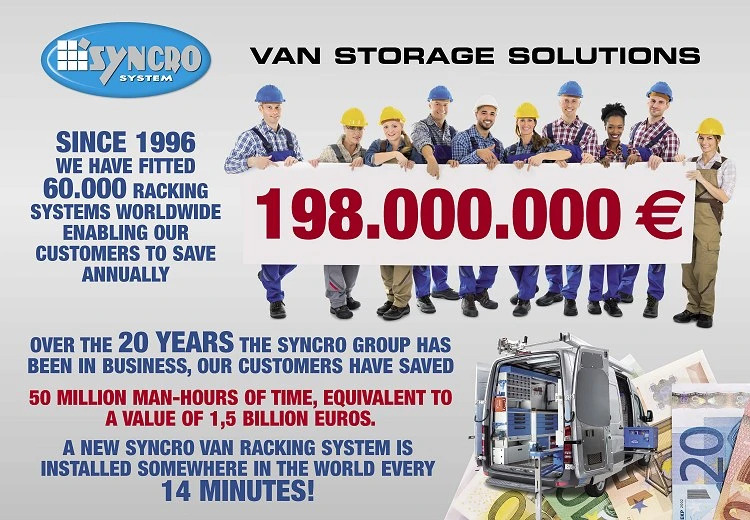 Syncro system installed its first van racking system in 1996. Now, in 2016, the Syncro Group has just passed the threshold of 60,000 vans fitted out for customers all around the world. 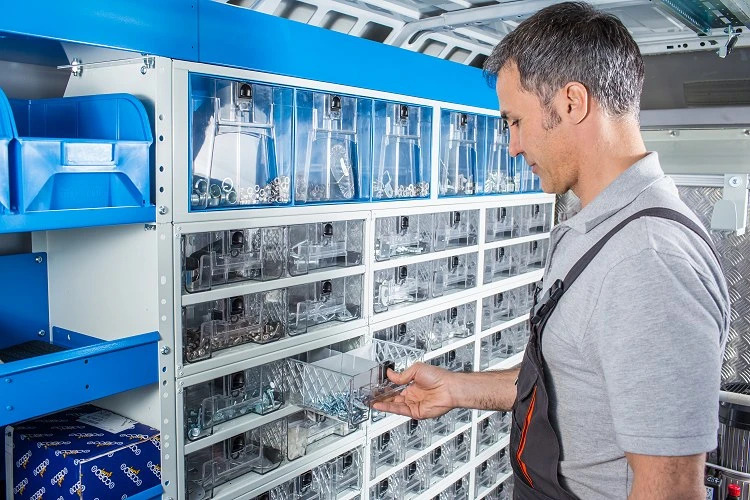 Excellent product quality, continuous innovation, and commitment to creating maximum value for the customer: these are the elements that characterise the Syncro offering and that convince thousands of new customers every year. 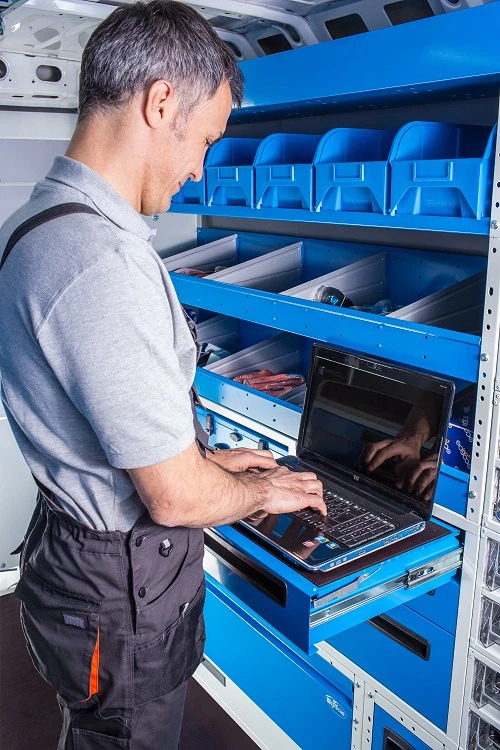 Every year, the greater efficiency achieved by vans fitted with Syncro System racking and accessories saves customers impressive sums of money. Assuming a time saving of thirty minutes a day, the total saving comes to 198 million Euros a year! If we sum all the savings made since 1996, we get the amazing figure of 1.5 billion Euros! And these figures are based on time saving alone, without taking account of greater efficiency and speed on the job itself. 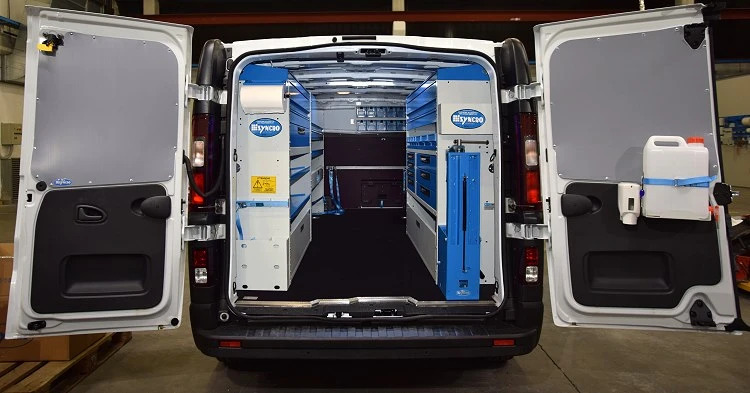 Syncro racking delivers real benefits for the customer as well as enhanced safety on the job and on the move.